Yarn Expo has certainly established itself as a leading networking destination for worldwide visitors and exhibitors, with a wide variety of products on offer. Most notably, there was onsite evidence of ever-shifting sourcing trends from around the world. A certain buzz of new business potential filled the air, as new markets continue to open for Yarn Expo exhibitors. “Yarn Expo Spring’s strength lies in its diversity of products and innovations. It’s undeniable that this is attracting trade buyers from throughout the supply chain,” noted Ms Wendy Wen, Senior General Manager of Messe Frankfurt (HK) Ltd. “It’s no longer just spinners and weavers buying from Yarn Expo. This week, we’ve also witnessed more downstream buyers sourcing directly from our exhibitors. They recognise that the properties of yarns and fibres are essential for ensuring a high-quality end-use product.” The fair welcomed buyers from well-known brands such as Fila, Guess, Ralph Lauren, Jack Jones and Vero Moda, as well as Adastria, Itochu, Li-Ning, Maracaibo, s.Oliver and a buyer delegation from Korea. Are consumers becoming more aware of the fibres in their products? One visitor from Switzerland, Ms Anita Lazo, Senior Product and Business Development Manager of Sankom noted, “Although we make end-use products, by sourcing yarn we have better control over the composition of our fabrics. We are making premium underwear products, so our consumers are quite conscious of the fibres in their purchases.” Brands like Sankom, who were searching for a unique functional fibre, are increasingly visiting Yarn Expo to meet their specific sourcing needs. Whether that’s in order to source the particular yarns or fibres needed to maximise efficiency or sustainability, it’s evident that Yarn Expo Spring provides plenty of options to make end-use products stand out from the crowd. The next Yarn Expo fair, the Autumn Edition, will be held at the earlier date of 25 – 27 September 2019, once again at the National Exhibition and Convention Center. 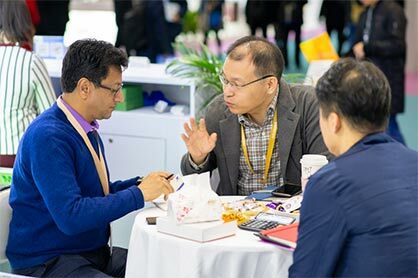 Yarn Expo Spring 2019 was held concurrently with Intertextile Shanghai Apparel Fabrics – Spring Edition, Intertextile Shanghai Home Textiles – Spring Edition, PH Value and the China International Fashion Fair (CHIC). 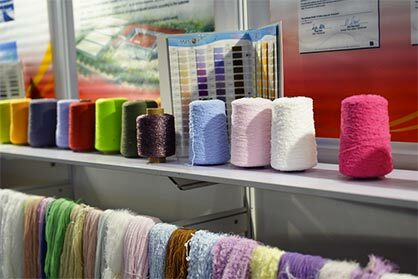 Yarn Expo Spring is organised by Messe Frankfurt (HK) Ltd and the Sub-Council of Textile Industry, CCPIT.